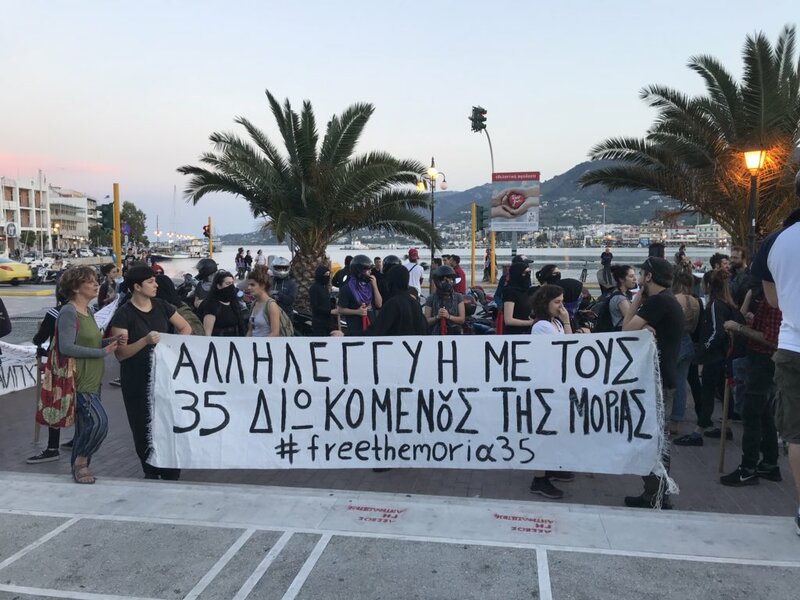 Statement by musaferat about the Free the Moria 35 campaign. 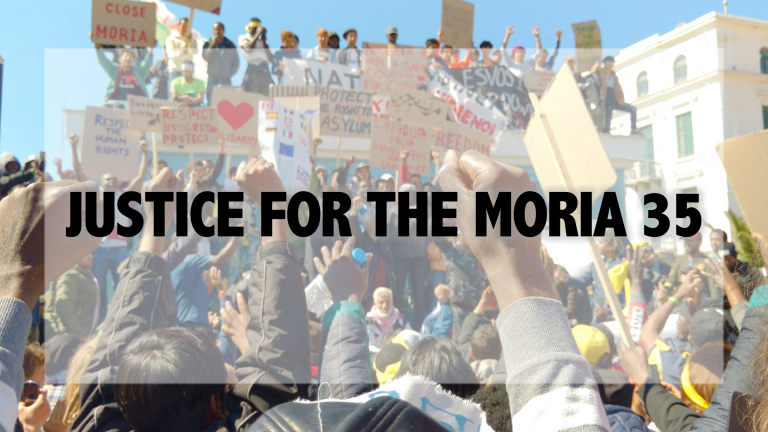 In the months since our (Legal Centre Lebos) last update on rights violations and resistance in Lesvos, our advocacy and campaigning resources were almost exclusively focused on the two trials for the Moria 35 and Moria 10 that took place in Chios in late April and early May 2018. 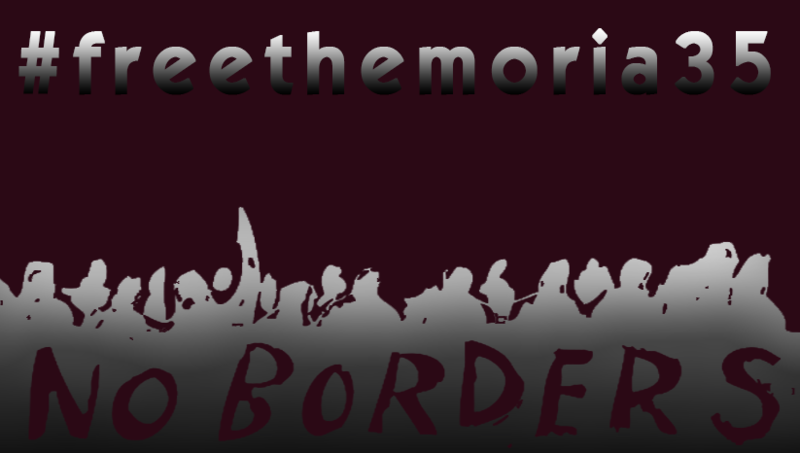 Statement of Kurdish people who left Moria and that are threatened by Greek authorities with deportation when they don’t return to the inhuman Moria camp. 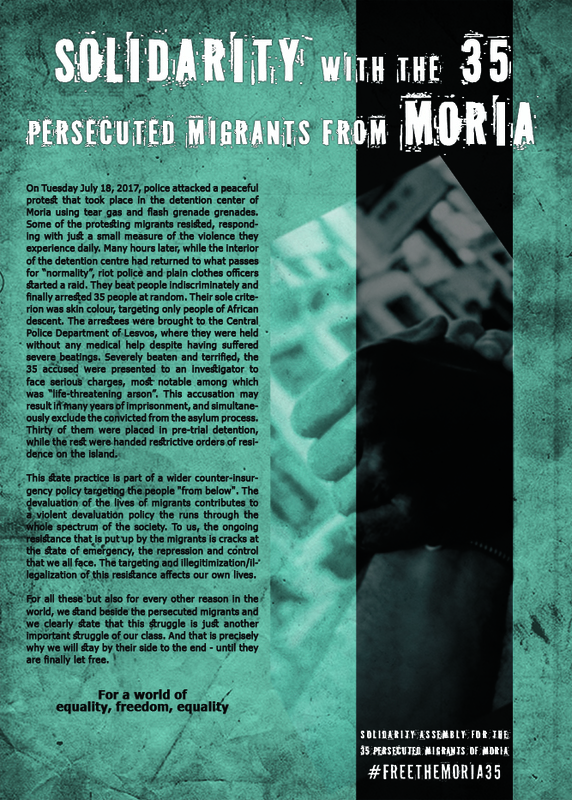 Solidarity statement by the Solidarity Assembly with the 35 Persecuted Migrants. Last night there was an Antifa demo in Mytilini, Lesvos against the fascist attack against refugees on Sunday April 22. 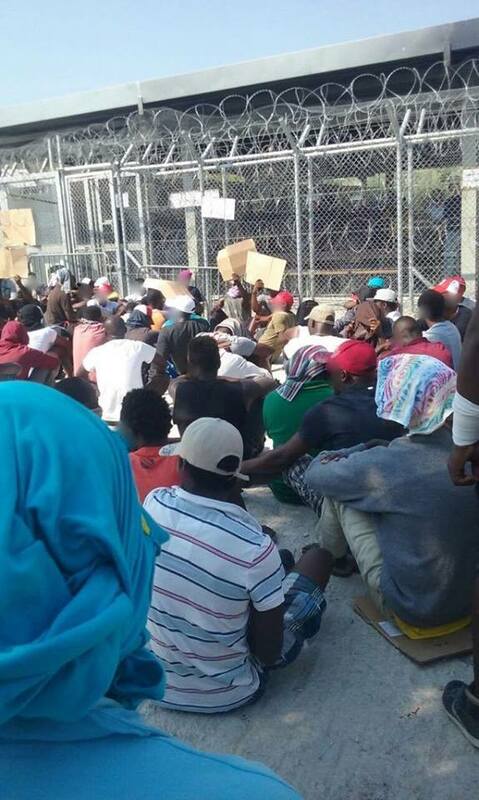 Over one week since the Mixed July Court in Chios found 32 of the 35 accused guilty and issued a suspended sentence – meaning that all 32 should be released from prison – 26 of the Moria 35 remain detained. 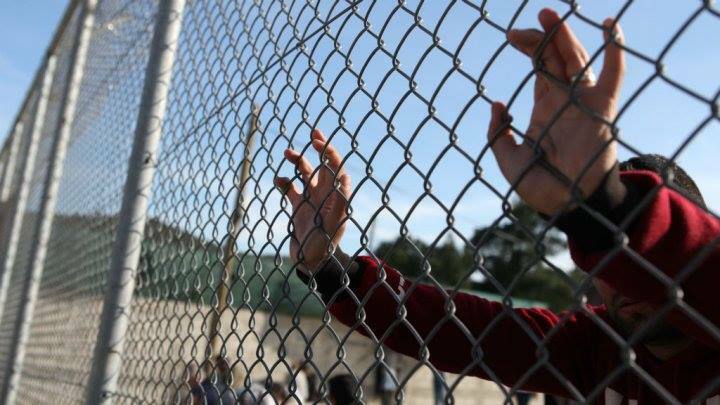 21 are being detained inside Moria Camp, and 5 in Petrou Ralli detention centre in Athens. Included among the 26 is one individual who was found not guilty. 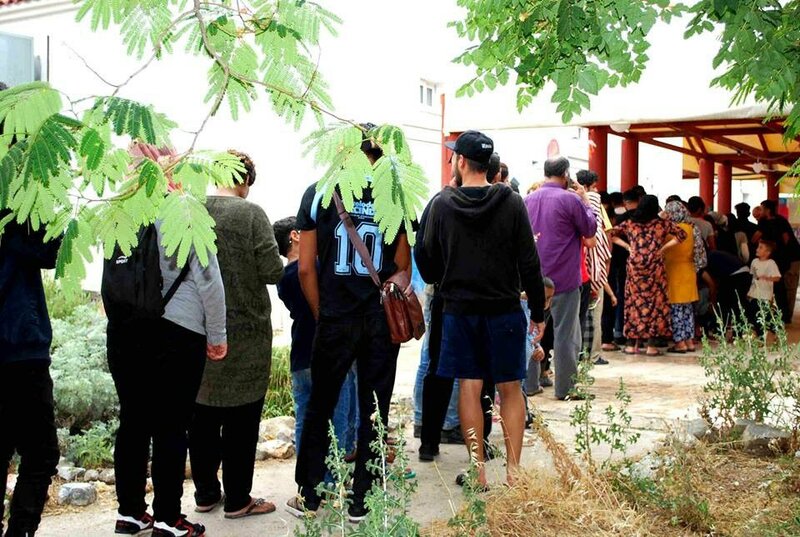 In between a police ring, and with Sunday night’s events in Mytilene still in our heads, the second day (on April 23) of the trial of the 35 persecuted migrants from Moria began. After a series of difficulties and threats of postponement, the trial began regularly on Friday. Today the trial continues. 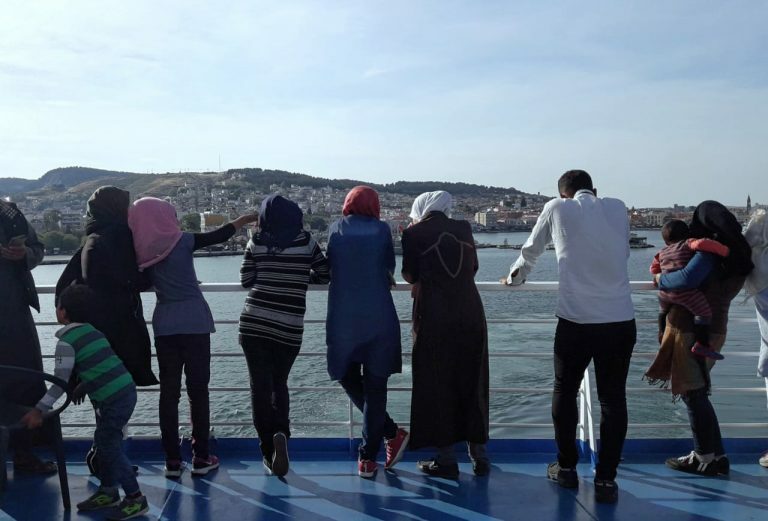 In July 2017 35 men were arrested on Lesvos, Greece. Documentary filmmaker Fridoon Joinda released a 28 minute long documentary about the case. “From what I understand, I was only arrested because I am a black man.” Didier Ndiay, Senegal. 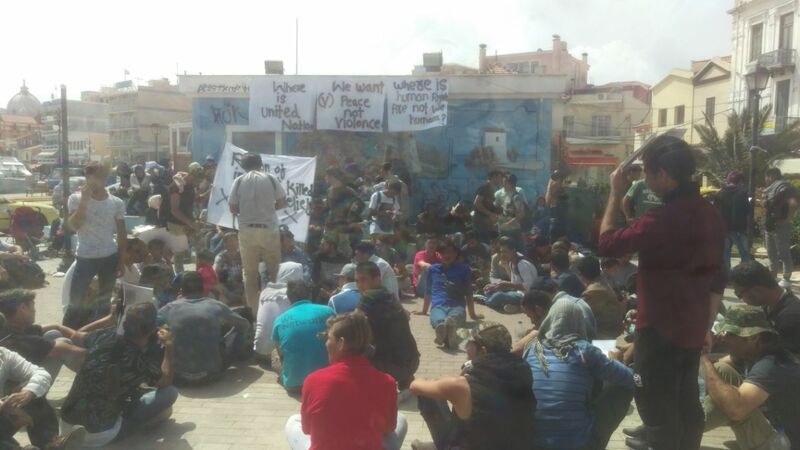 Lesvos, Greece: Refugees spontaneously marched from the Moria refugee camp to Sappho square in Mytlini today, after a refugee almost died in the Moria refugee camp.